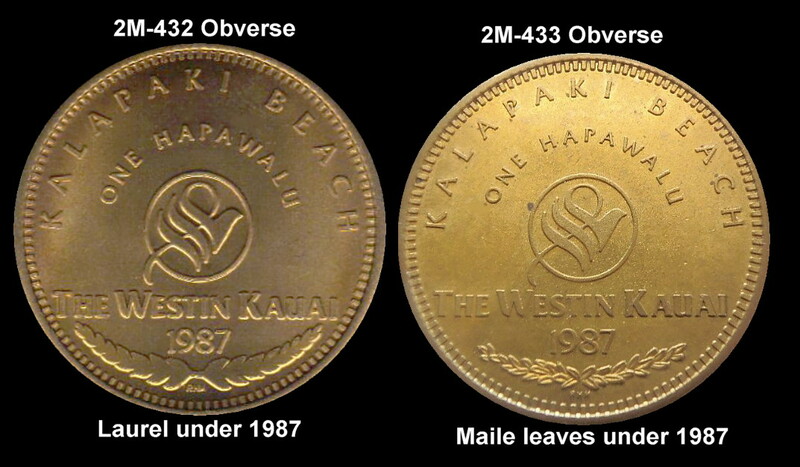 Medcalf & Russell lists the 1987 Westin Kauai Medal as 2M-432 and 2M-433. What are the difference between the two? Simply a laurel (2M-432) vs maile leaves (2M-433) under the date 1987. MR description for 2M-432 is misleading and should use the term “has laurel” instead of “w/o leaves”. Now you know the difference between a 2M-432 and 2M-433!